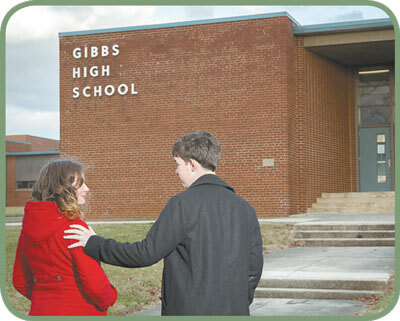 Sarah and Matthew Esslinger remember their experience of transitioning into high school. Photo courtesy Edward Foley Photography. The teenage years are times of transitions including school-related transitions. Going from middle to high school and from high school to college can be very stressful. One of the challenges for parents of teenagers is to help them cope effectively with the changes they face. Parents can help their teens with transitions by following these three “psychological” steps. The second step is to recognize how you have experienced change in your own life. Are you a person who embraces change and seeks it out, or do you prefer constancy and stability? Did you tend to have a hard time or an easy time dealing with change during childhood and adolescence? Even if you are someone who embraces change, were there times when a major change was unwelcome and hard to bear? Is your style of dealing with change similar to or different from that of your teen? Developing your own self-awareness will help you empathize with your teen’s experience. The third step is to put your empathy to work. Remind your teen that change can be difficult, but that eventually he or she will adapt. Help your teen name the changes he or she is experiencing. For instance, what is different about high school compared with middle school? What does he or she miss about middle school? When the distinctions between the old and the new are spelled out, your teen can more easily appreciate why the transition seems so hard. If your teenager is struggling with change, think of a time in your own life when you went through a difficult transition, and tell your teen the story, emphasizing your feelings. For example, “When I went to high school I was scared because I did not know what to expect. I was worried about fitting in, and I was afraid the work was going to be too much for me. It took some time, but once I got used to high school, I realized there were things about it I liked so much better than middle school.” Be sure to answer your teen’s questions about your experience honestly. If it took you until Christmas to feel good about being in high school, then say so! Adolescents really need to know that their feelings about going through change are normal, and so hearing that Mom or Dad went through (and survived) something similar is powerfully reassuring. ← Run (or walk) on down to the Knoxville Zoo on March 2!